The only thing more fun than building a device to launch objects into the air is smashing them into your competition’s fortress! 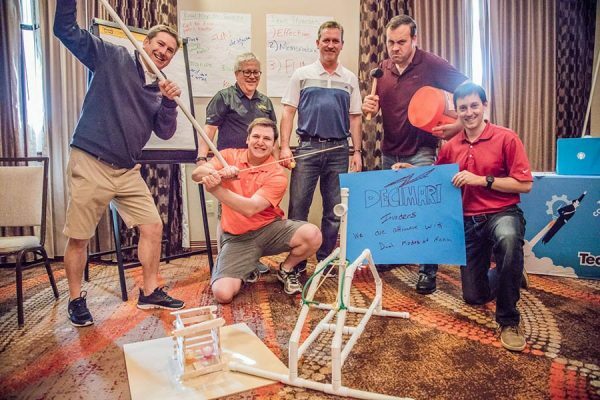 Do you want an event that gets your team creating (and destroying) together? 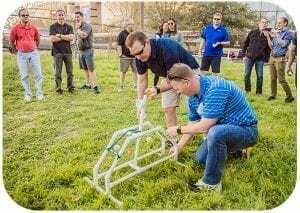 The Catapult Crash Challenge is a fun, exciting and memorable team-building event that taps into your team’s ability to work collectively, follow instructions, delegate and work collaboratively toward a common goal: to destroy the enemy fortress! Our professional facilitator introduces the event and performs a fun and engaging ice-breaker that sets the tone for the day. Your group is then broken into teams of 6-10, and they are set about the task of earning materials to build both a fortress (a.k.a. 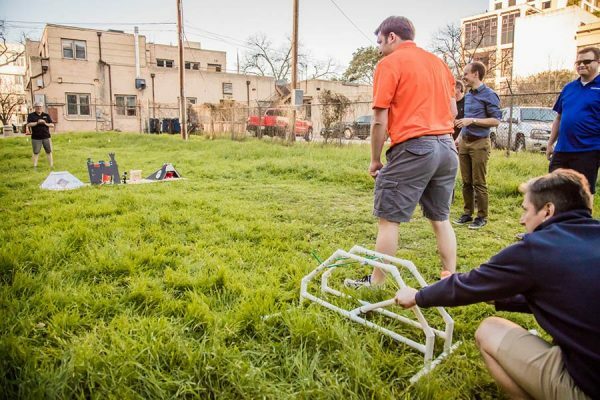 “target for other teams”) as well as their own catapult. 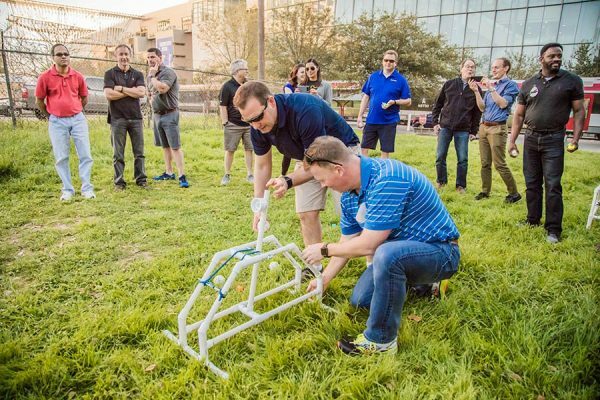 The creativity, engineering and collaboration of each team will be tested as they work through a series of challenges to earn materials to build their own catapult/trebuchet. No one is left standing around with nothing to do! From engineering, to creative decoration, and even a marketing presentation, everyone is kept busy, engaged and having fun! 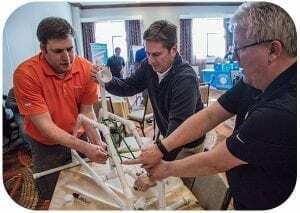 Teams are encouraged to “get outside the box” and stretch their comfort-zone by giving funny, engaging and outgoing 30-second marketing presentations (usually in the style of a T.V. commercial, often including singing and performances). The ensuing silliness makes for great photos and lasting memories! Once the launchers are built, and fortresses are completed, teams are given “treasures” to protect within the fortress! 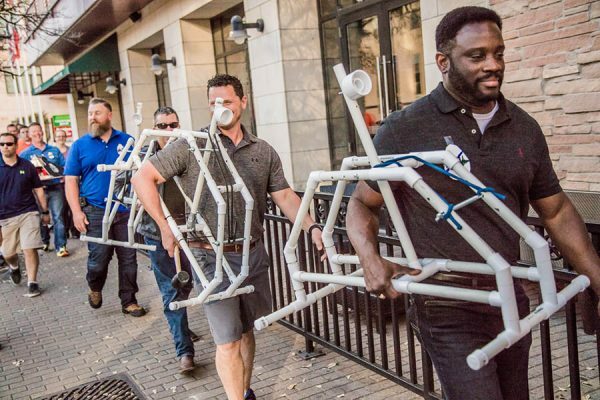 The fun increases as the final products are taken outside to the “testing grounds,” where teams launch earned projectiles at their opposing teams’ fortresses! 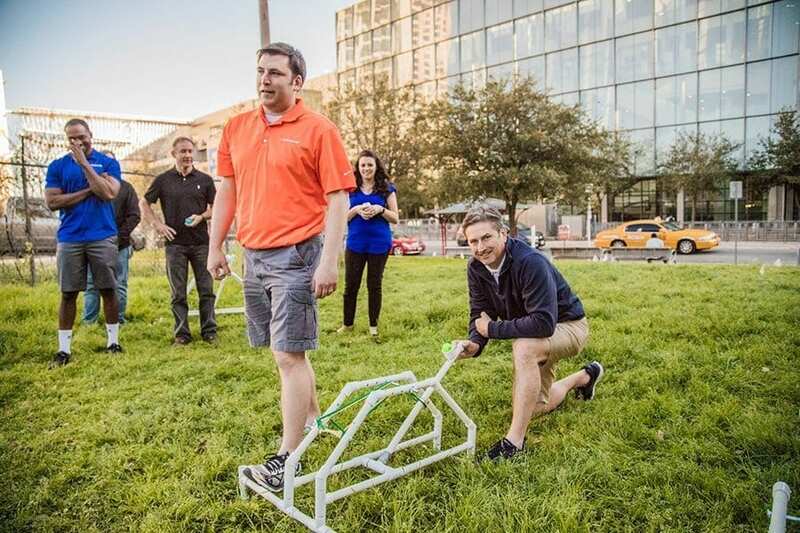 Some will hit, some will miss, and some will fall apart at the seams… But in the end, the team with the best functioning catapult will be declared the victors! 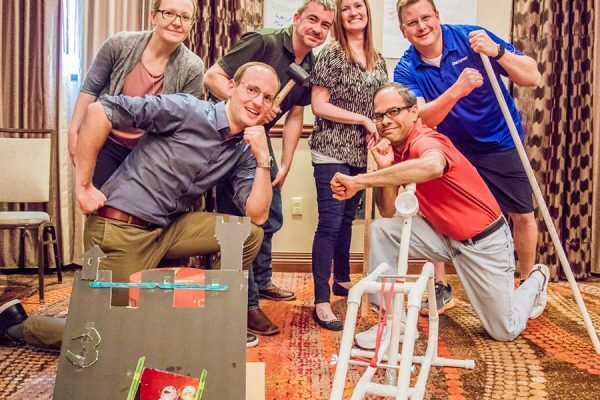 Get Your Team Creating (And Destroying) Together! 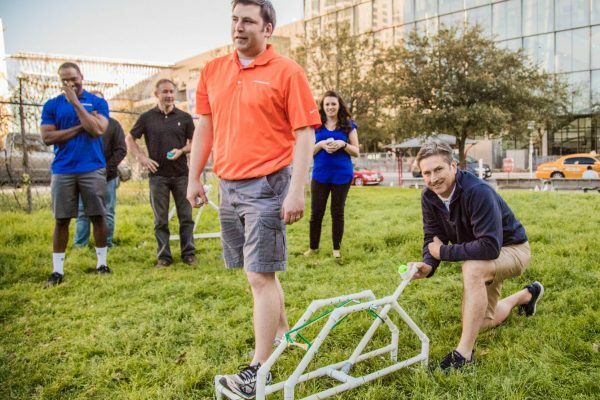 This Hilarious Team Building Event Is Perfect For Competitive and Creative Groups Who Like High Energy Fun!